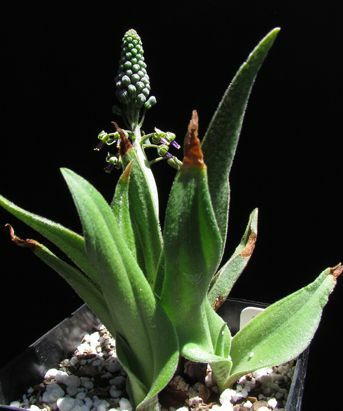 Ledebouria hypoxidioides is native to the Eastern Cape Province of South Africa. A bulbous perennial, the leaves are lance-shaped to oval, upright, stiff, and covered with silky hairs. Racemes of bell-shaped, green to gray flowers with pink markings.